Don’t let summer slip away! Take advantage of one of our great offers good now through Labor Day Weekend. Enjoy our Midwest Resident rate through August 31st for $99 per night including a $15 gas card. 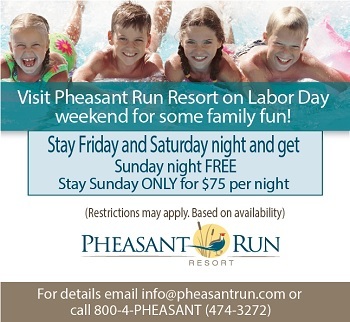 Labor Day Weekend – Stay with us Friday and Saturday get Sunday FREE or Stay with us Sunday only for $75 Per night! Labor Day activities include: Pool Party with DJ, Magic Show, Kids Game Show & MORE.